Special shout out to Jing Jing, Elizabeth & Monique - so thrilled that we are in the same team! 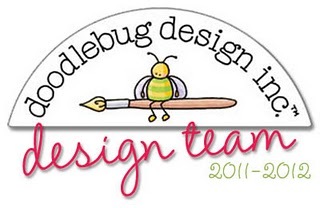 Congrats to the rest of the talented ladies who made it to the Doodlebug team! Can't wait to know y'all better :) You can view the announcement at the blog HERE! All glory and honor and praise to God! Huge congrats, Jessy. Can't wait to get to know you and work with you on the Doodlebug team! That's fantastic, Jessy! Huge congrats to you! Huge congrats, Jessy!! I'm so happy for you. Enjoy! Congratulations!! I'm so excited to work with you and get to know you! I just saw the news!!! Congrats!!!! Woohoo - huge congrats girl!!!!! You are just on a roll!! And no wonder, you rock;) Congrats!!! You are on fire! Super huge congratulations, Jessy! Congrats Jessy - more great news from you! YOu can do anything - sky is the limit!! Woo Hoo!!! You are making it big gal, congrats!!! Congrats on Doodlebug & basic grey! Looking forward to working with you. OK I'm less fan of doodlebug design but congrats again, lol ! You're really on a roll lately ! Nook Updates + Claudine Hellmuth came by! !